The wood paneled elevator doors open and, just as Walt Disney himself may have felt, you are greeted by a bright room. The letters HOLLYWOODLAND — as they would have appeared in 1923 — greet you with a roar that entices you to step forward. 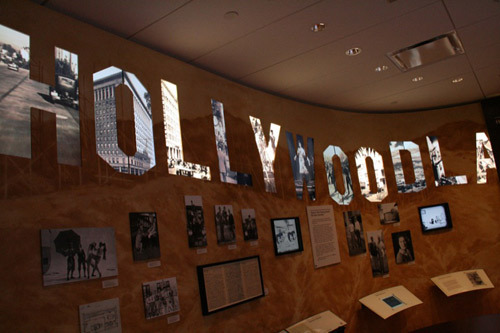 The letters themselves are actually screens, establishing Los Angeles in the 1920s. Much like the Hollywood and animation at the time, this room evokes a unique sense of possibility. It’s just a start, though, as the next gallery presents the success Walt Disney had throughout the mid to late 1920s. A large room expands on early successes: Oswald the Lucky Rabbit and Mickey Mouse. 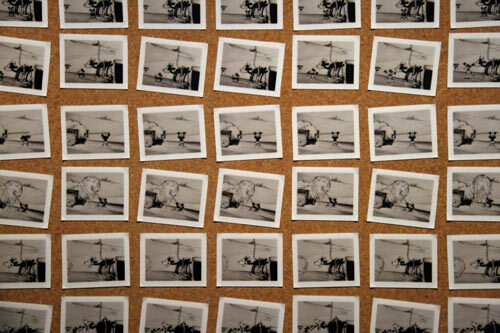 The room is has an entire wall filled with hundreds of drawings from Steamboat Willie, the first animated cartoon with sound. Visitors are invited to play along with Mickey’s second cinematic appearance using faux instruments, this activity helps demonstrate the difficulty of getting sounds and picture to combine naturally. Good for the whole family, this small element helps to corrects one of the museum’s shortcomings: what to do with kids. Until this point there aren’t any features that young children can participate in or enjoy—everything is very text heavy. As you move forward there are a few times where you can move things around or touch objects, but nothing as interactive and kid-friendly as the Steamboat Willie music maker. The gallery begins to reveal Walt Disney’s personal life alongside his Hollywood successes by adding little nooks of family photos. The joy is often contrasted with frustration: Walt’s loss of the character Oswald the Lucky Rabbit is juxtaposed with his marriage. As we walk into the next even larger room, filled with displays that demonstrate improvements in the technology of animation and story, small cabinets display Walt the “family man” — building a house, the birth of his daughter, Diane, and the adoption of his second daughter, Sharon. These small poignant displays are in contrast to the huge monitors and cases filled with art from The Old Mill or film clips of Walt Disney describing the leap to feature film animation in Snow White and the Seven Dwarfs. These galleries are where a real animation-geek will obsess over the advancement of animation, primarily by the Disney Studio. 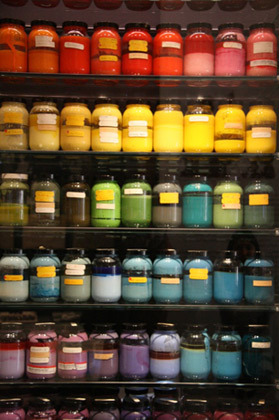 The techniques are carefully explained, often with actual materials or equipment such as the bottles of pigment for Disney’s Technicolor shorts (which Walt Disney had exclusive use of for a few years) and an actual multiplane camera. This huge device creates the illusion of depth in two-dimensional animation by layering elements of a scene, such as a tree or a bush, in separate levels from other elements in that scene. This process replicates our natural vision with objects in the foreground appearing more detailed than those in the background. The gallery seems to speed up, mimicking the period of the 1930s and 40s for Walt Disney and his studio in a manner similar to the slower “feeling” of the earlier rooms and the time period they reflect. Pieces become closer together and everything seems to be building to something bigger and better. More movies, a studio in Burbank, a trip to South America. What could stop Walt now? War. And a strike. 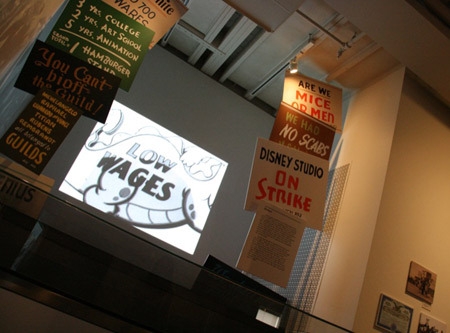 An often neglected time period in Disney history, the museum respectfully (and neutrally) offers film and protest-signs from the 1941 Disney animators strike. Footage from outside the gates of the recently constructed Burbank studio play alongside tape of Walt Disney offering not anger, but disappointment. 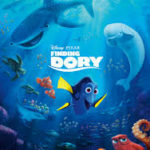 The animator’s strike is a turning point for Disney’s interest in animated movies and the museum depicts this perfectly. Many argue that Walt felt betrayed by his “boys” and lost some of his interest in animation after the strike. 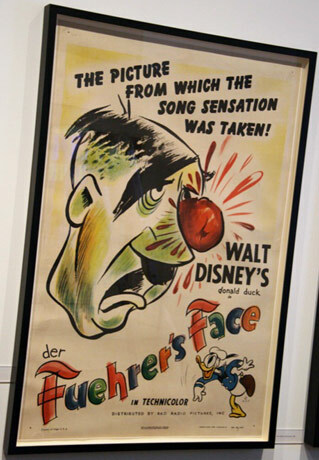 After the strike, World War II turned the Disney studio into a machine of military training films and animated propaganda pictures. This is about the last we hear of animation at the museum. There is little more about animation seen in the museum after this period. 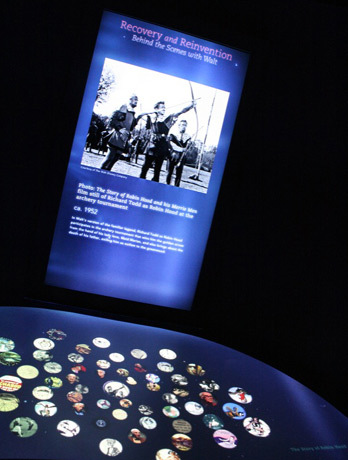 The next few galleries are transitional: a small, dark room has multimedia displays that are controlled by touching a Star Trek-like table-top display. You can choose from Disney Legend talking heads or flip through film clips. 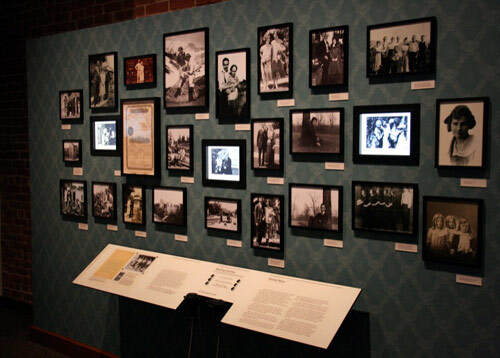 Upon exiting this room, the museum contrasts the space with a well lit area that returns the focus to Walt the family man—funny home movies and photos of some family trips greet us. 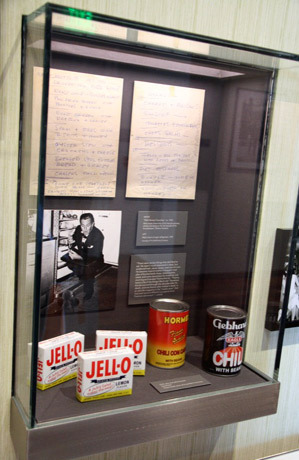 Some hyper-detailed treasures are offered as well: Walt’s lawn-bowling bag, and some of his favorite food (Jello and Chili). The hallway gently slopes and opens onto a huge, spectacular view of San Francisco’s Golden Gate Bridge. Disney's MICKEY MOUSE Sorcerer Wizard Bisque Porcelain Figurine 8"